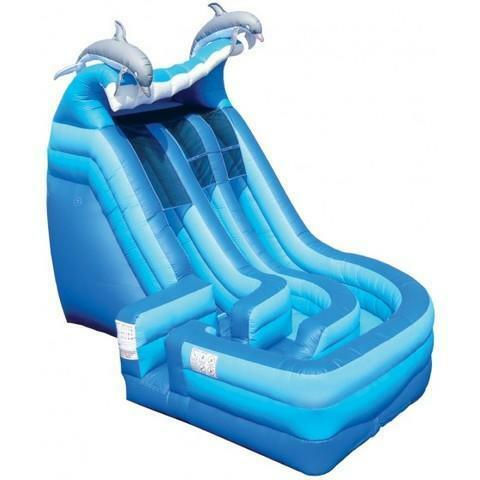 The Dolphin Wild Splash Dual Lane Water Slide is a Rush! Experience the thrill of riding the rapids down this wet mountain of fun. Riders shoot down individual sliding lanes where they encounter the thrill of a bump in the rapids before they scream around the curve and make a soft splash landing into a pool!